With an average annual snowfall of 280 inches, 2465 acres of skiable terrain, and a base elevation of 9712 feet, Copper Mountain is one of the highest ski resorts in Colorado, and offers abundant ski and snowboard terrain for all ability levels. With uncrowded slopes, superb mountain views and the convenience of a small friendly village at its base, Copper is popular with families, couples and groups who enjoy easy access to the trails combined with Copper Mountain lodging that offers all the comforts of home. Copper Mountain is famous for having naturally well defined sections of the ski area dedicated to different ability levels. Beginner skiers and snowboarders will flock to the west side of the mountain where the High Point, Lumberjack and Kokomo chairs service a wide range of tree-lined green runs, perfect for learning or for finding your feet at the start of your ski vacation. The middle section of the mountain is perfect for intermediates with a fine selection of long perfectly groomed blue runs as well as a small number of black and green runs thrown in for good measure. Advanced and expert skiers and riders will gravitate towards the eastern flank of the mountain where black diamond and double black diamond runs await in the form of powder bowls, steep chutes, and even free snowcat skiing on Tucker Mountain. There is also an impressive selection of terrain parks and pipes at Copper, including a dedicated kids’ park, making it perfect for shredders and jibbers of all ages. To get to know the best runs for your level, why not join a mountain orientation tour, offered by the resort twice a day for most of the winter, and its free! 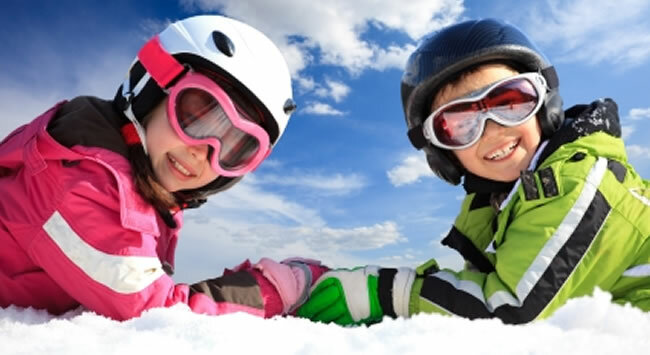 There is of course a first class ski school at Copper Mountain where group lessons and private lessons can be organized for all ages and ability levels, and ski and snowboard rentals including demo packages can be found close to the lifts in all three villages.